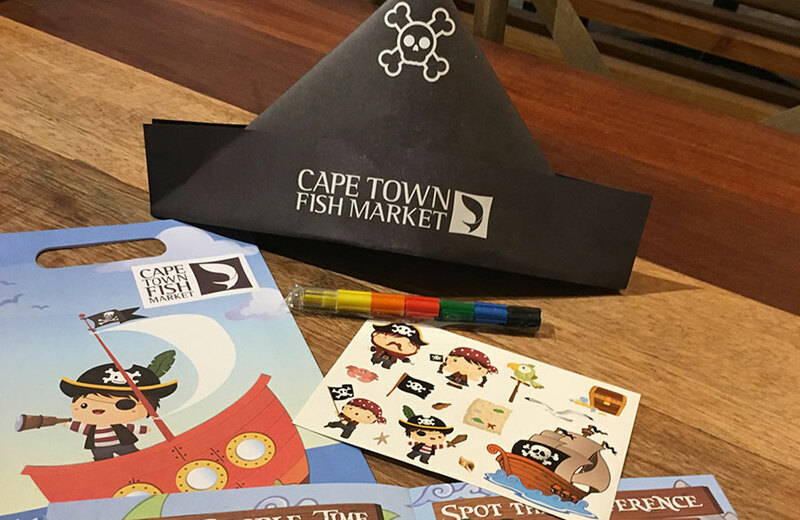 If you’re looking for a fun day out that kids will love, bring them to your local Cape Town Fish Market where they can experience a special kids menu, enjoy great activity packs, and create their very own pirate hat! At CTFM, enjoyment for the whole family is as simple as booking a table. Cape Town Fish Market is much more than a family-friendly restaurant – it’s a restaurant that understands family. Founded in 1997 by the Krugmann family, CTFM is still family-owned and run by the Krugmanns today. In fact, the whole family works to make CFTM a great South African restaurant franchise, from Douw Krugmann Senior, the Director, to his wife and three children, who all grew up in and around our restaurants and continue to work with us to this day. 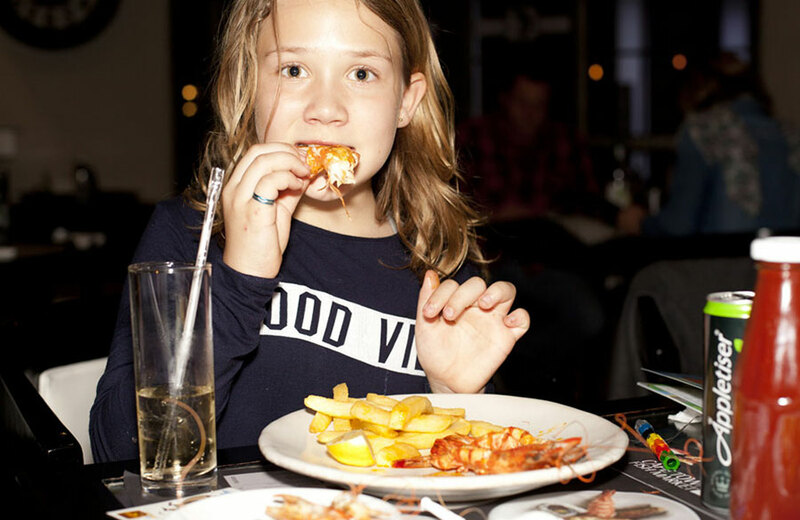 This means that family has always been a priority for CTFM, not just in how it’s run, but also in what it offers to South African seafood lovers and restaurant-goers: great food, a relaxing atmosphere, and a special menu and activities kids will love. 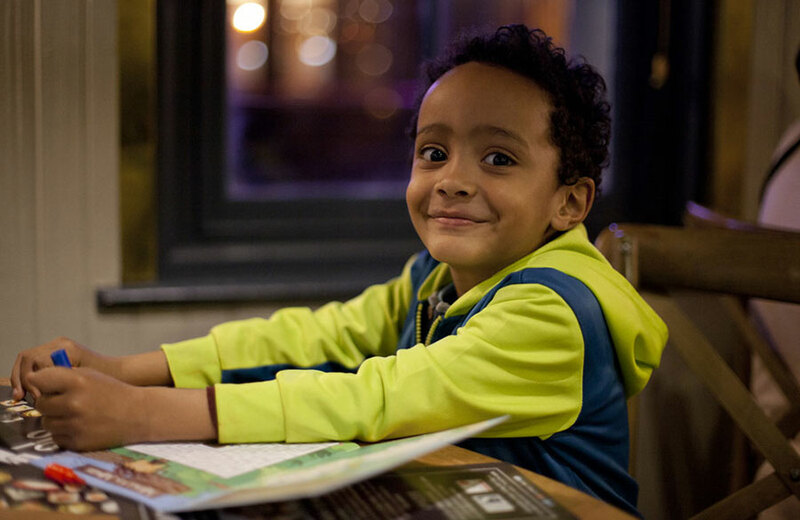 Available to kids 12 years and under, our Kids Crew menu has been specially created to bring together kids’ most-loved dishes from our menu, in convenient kid-sized portions. Of course, we’ve got the classic burger, plus universally-loved seafood staples like calamari strips, fish & chips, and grilled prawns. But if you’ve got a precocious young whipper-snapper on your hands, the Kids Crew menu also caters to the trendy foodie-in-the-making with specially-designed kids sushi platters. 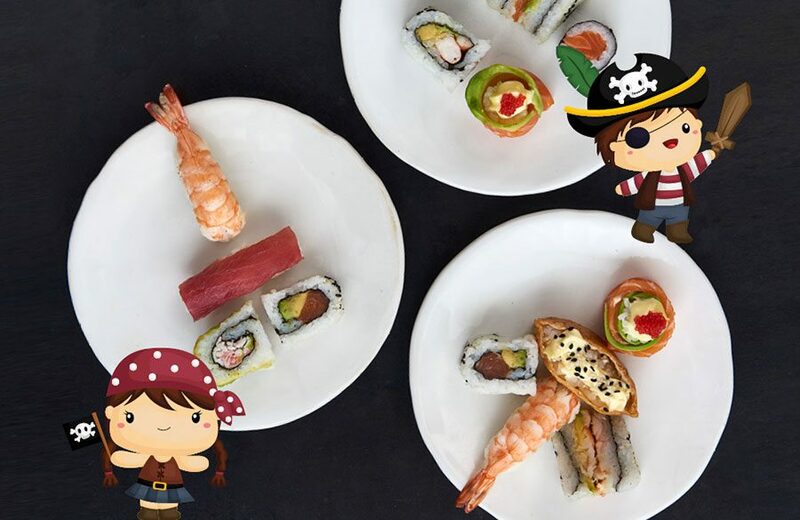 Each platter – named after a famous pirate, of course – has been specially created to introduce kids to tasty, entry-level sushi dishes, including salmon roses, maki rolls, fashion sandwiches and nigiri. Being family-run and family-friendly means we know that kids thrive on learning, discovering and trying new things. It’s why we’ve created fun, adventurous, pirate-themed activity packs for kids, available free upon request to diners at any of our restaurants. The allure of pirates and their quest for hidden treasures have long since captured the imagination of kids (and some adults too), and our activity packs are a great way to inspire them to take up the challenge of solving a maze or spot-the-difference puzzle, and encourage them to use their artistic talents to add colour to some colourful characters. Each activity pack includes a fun sticker sheet of interesting pirate characters for them to use with the activity pack or take home to keep. All this means focused, engaged kids who will enjoy their food even more thanks to a little nautical inspiration, leaving you to relax, sit back, and enjoy spending time with your family. One of the things the CTFM Kids Crew menu is famous for is doubling as a DIY pirate hat. On the front you’ll find a selection of delicious kids dishes but turn it over and you’ll discover that it folds neatly into a classic sailor’s’ ‘dixie cup’ hat with a cute skull & crossbones design at the top. Making the hat doesn’t just make the meal a lot more enjoyable – it makes everyone who makes it an honorary member of the Cape Town Fish Market Pirate Crew. Cape Town Fish Market offers a family experience everyone can enjoy. More than a meal, more than a family treat, it’s a fun day out that might just become a regular tradition your kids will always remember.